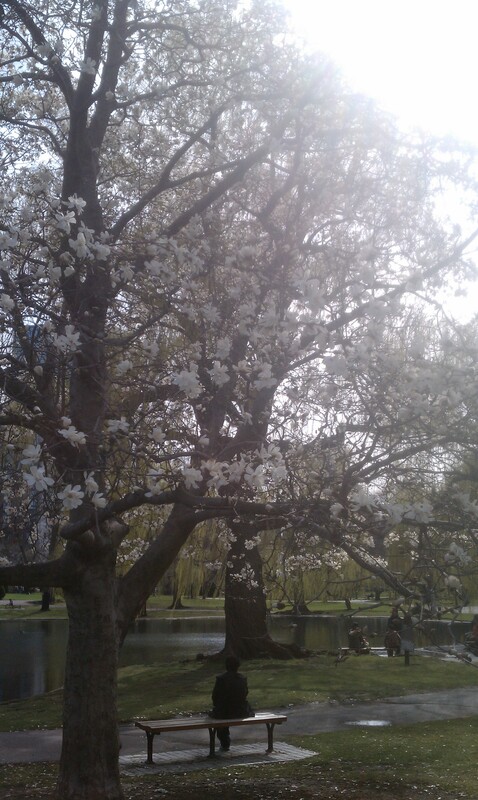 Spring has come to Boston, even if the temperature is only 42! 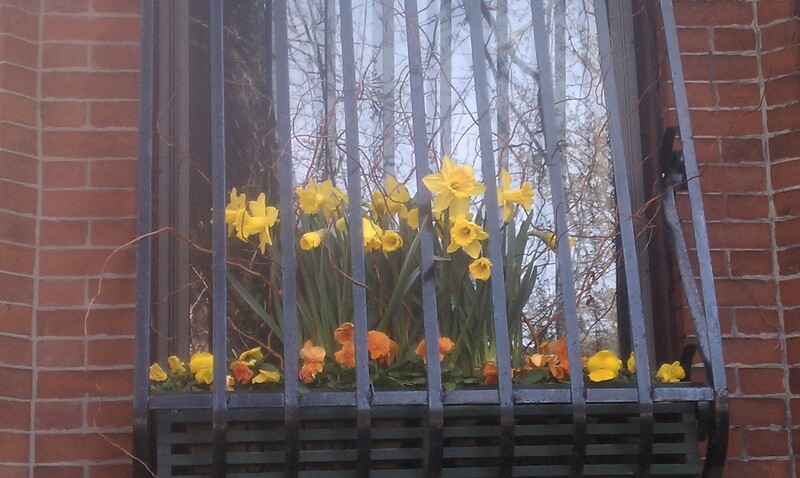 Daffodils and crocuses are sprouting on front yards and window boxes. 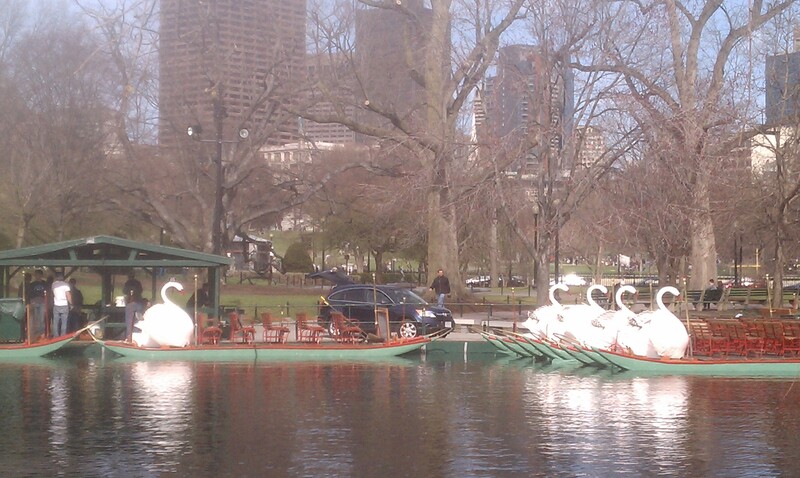 And the swan boats are ready to paddle passengers around the lagoon starting tomorrow. 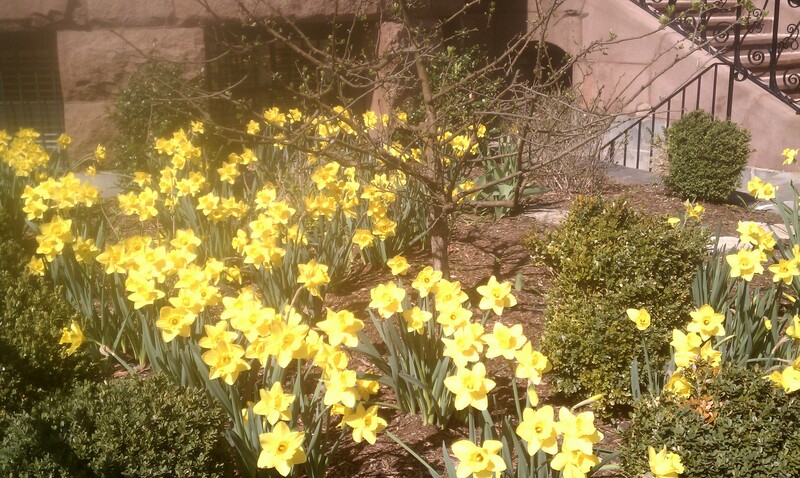 Speaking of daffodils, saw plenty of forced ones at the Boston Flower Show on March 17 – many thanks for the tickets! It was a great way to get psyched for the gardening season. This year by middle of April in RI, all of the early, mid-season and late daffodils were blooming at once! The mini-ones leftover from my bulb gardens are blooming now in window boxes with pansies and the last of the late daffodils are going by. Makes one wonder what next Spring will bring and the rest of this year’s planting season.